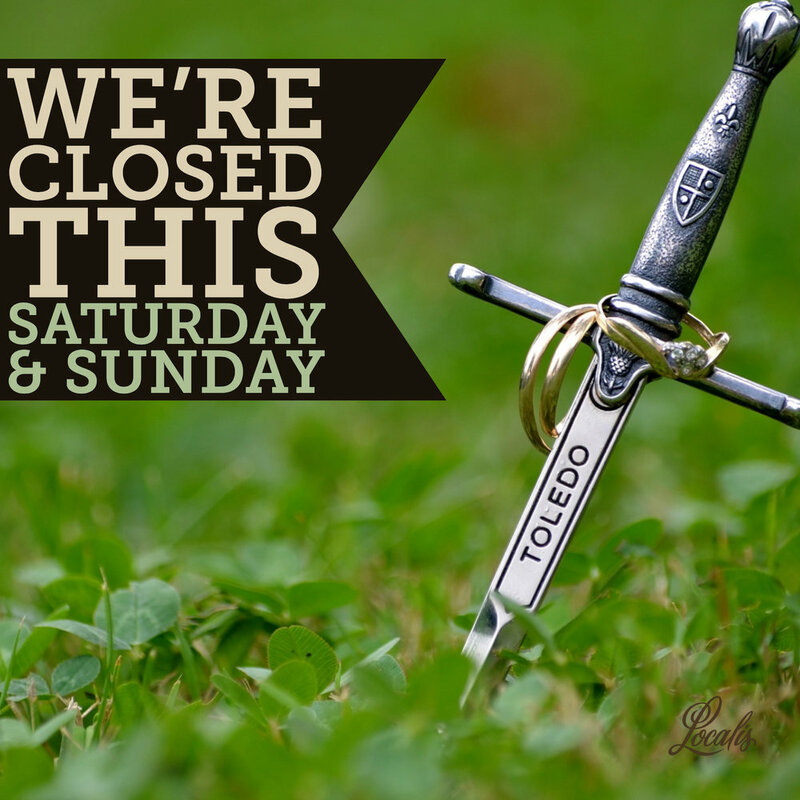 ... to close Localis this Saturday and Sunday, April 14th & 15th! We'll be cooking for Drew and Britt's wedding. We're all big Game of Thrones fans... and the two of them are about to become "The Starks"!